BTW, if you noticed, this is a mid-length system. A regular carbine would have a regular carbine length gas system which delivers 26,000 PSI to the bolt, slamming it back rather ferociously. Move the gas port up and the pressure drops to 21,000 PSI. That is less felt recoil, that is less “damage” to the carbine. 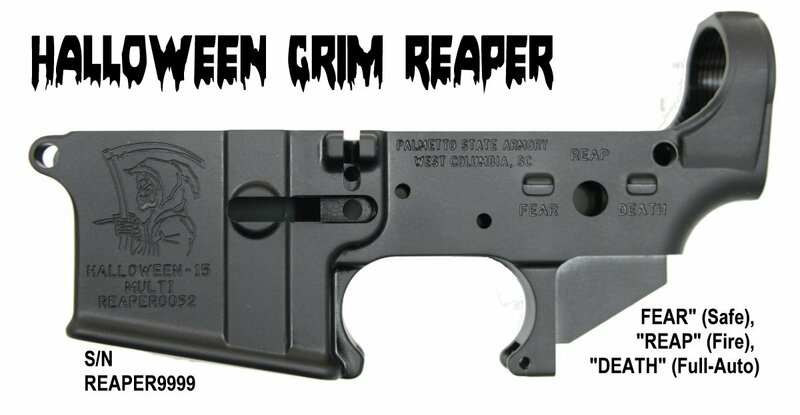 What makes this custom, is you get to choose your lower, and we have a Turkey for you! Get the carbine above with the turkey lower below! 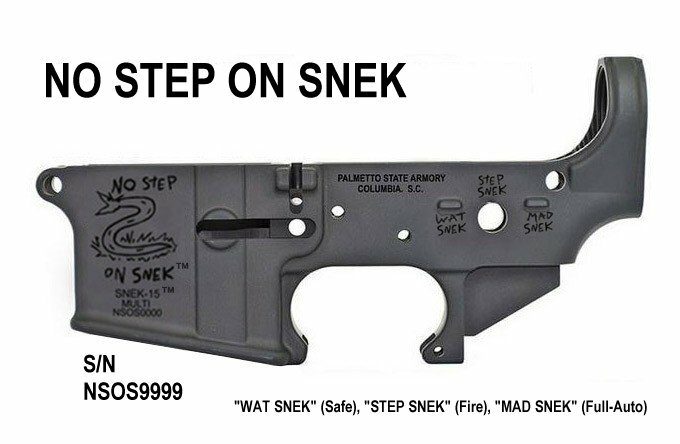 These are limited edition lowers! 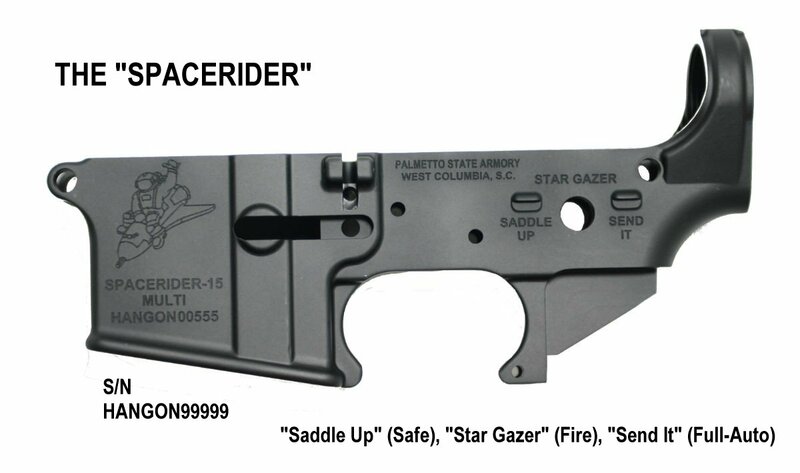 Other lower options below…No Step on Snek, Grim Reaper, and Spacerider! 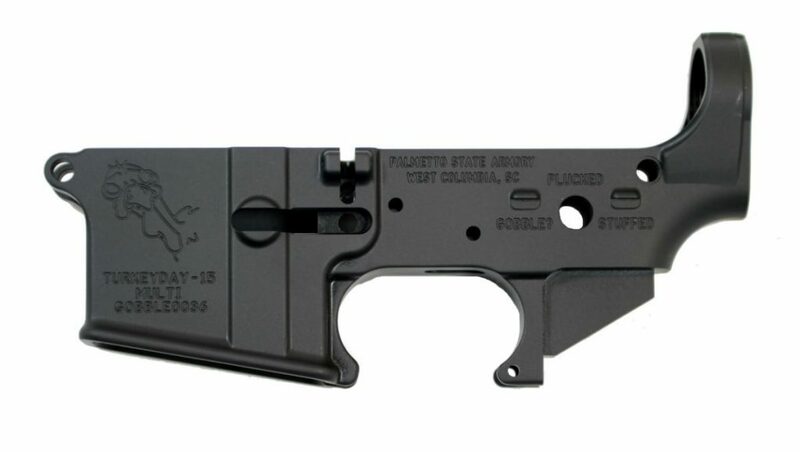 If you want a plain lower, take $15 off, if you want to assemble the lower, take another $20 off! Get a GOBBLE9999 serial number!